GALLLERIAPIÙ is pleased to present “Stressed, blessed and coffee obsessed”, first solo show in Italy by Débora Delmar. Cafés as hybrid places between function and leisure, consumption and production, social and personal. Débora Delmar (1986) project is an attempt to find a link between Cafés’ function and gallery’s space, considering how much aesthetic choices have an influence on our behavior inside those spaces. Débora Delmar investigates consumer culture, capitalistic lifestyle, and aspirational aesthetic. She is particularly focused on class issues and globalization effects on daily lives, as well as cultural hegemony and gendered, racial and class images used in advertising. 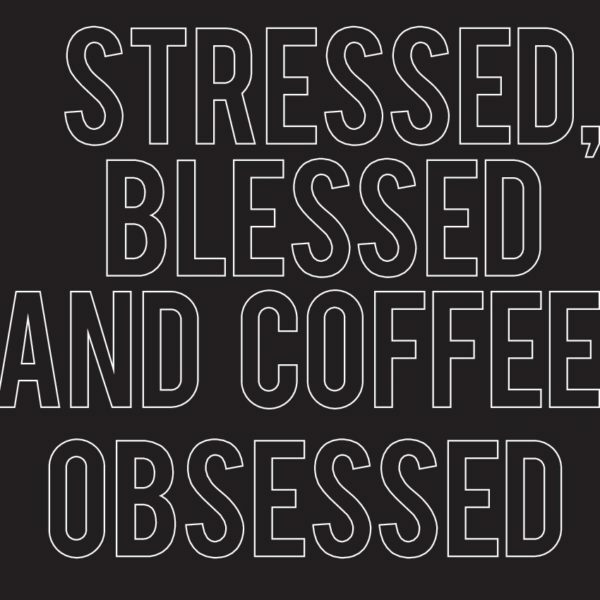 “Stressed, blessed and coffee obsessed” is more than a quote; it is a way of being connected to contemporary issues like the furious pace of our society and it underlines how social consciousness can be reinforced by consumers habits. At GALLLERIAPIU, the artist explores the European Café Culture influence in the development of cities, social relationships and interactions and in contemporary lifestyle. The European Café was originally considered as a social hub, a place for artists and intellectuals to meet. Nowadays, depending on its context, cafés could become status symbol, or represent hipster subculture and tradition’s images. Café’s traditional identity as intellectual and artist’s hubs for cultural production have nowadays shifted. Since the early 90’s global coffee chains have been appropriating from the original European Café style architecture, furniture and decor. In this way, these contemporary consumer spaces have fashioned fictional authentic aesthetics and experiences. Café becomes a brand keeping a typical specific image. For here first solo show in Italy, Delmar uses some shoots from her iPhone images gallery she took while travelling around cafés between Mexico City, Vienna, Beijing, Venezia and London. She creates a new environment that develops and invades the whole exhibition space through a series of new works and a sound installation. According to her modus operandi, the gallery space changes in relation with logics and mechanism linked to actual bars’ dynamics. The exhibition will be accompanied by a critique publishing of an editorial project in collaboration with Droste Effect Magazine, curated by Vincenzo Estremo. This publishing will be presented at the end of the exhibition. The bulletins designed by Vincenzo Estremo and Débora Delmar will firstly investigate on the entire practice of the Mexican artist based in London, and then they will analyze some social and political issues connected to Café dissemination in Europe and Latin America. Starting from a cross-disciplinary attitude and relying on cultural studies, the artist and the curator will piece together some theoretical and iconographic documents in order to share all the different facets of the globalized culture of coffee and Cafés. “Coffee is the only place where discourse creates reality, where gigantic plans, utopian dreams and anarchic conspiracies are born without having to leave your chair”. Débora Delmar (1986, Mexico City) lives and works in London where she is completing the Postgraduate Programme at the Royal Academy of Arts. She previously attended the School of Visual Arts in NY. Her work explores global consumer culture in the 21st century and corporate aspirational aesthetics impact on everyday life. Delmar frequently creates multi- sensory installations composed of appropriated and solely authored images and intervened everyday objects as well as fabricated sculptures. In her installations she frequently utilises elements such as scent, sound, and online interventions. The work of Débora Delmar has been presented in solo and group exhibitions including the 9th Berlin Biennale (Berlin), Museo Universitareo del Chopo (Mexico City), Modern Art Oxford (Oxford, UK), Museum of Modern Art (Warsaw), Museum of Contemporary Art Denver (Denver), Museo de Arte Contemporaneo de Oaxaca- MACO (Oaxaca). Droste Effect Magazine is a publisher of artists editions and projects on paper based in New York, London and Italy. The online magazine is dedicated to contemporary art news and essays. Droste Effect is made by Vincenzo Estremo, Matilde Soligno, Eleonora Castagna, Marco Antelmi and Lisa Andreani.